Sending flowers as an offering of your sympathy is something we don’t take lightly. We understand that many cannot find the words to say at this time. 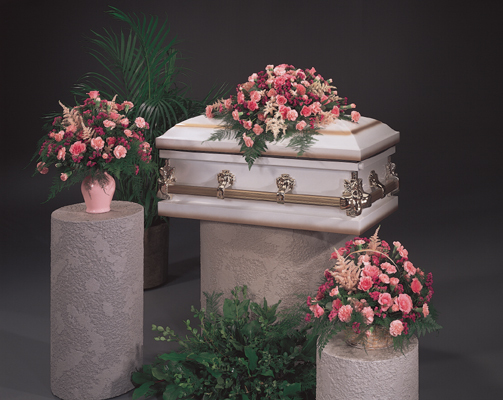 We make sure that your sympathy offering is as special as can be. 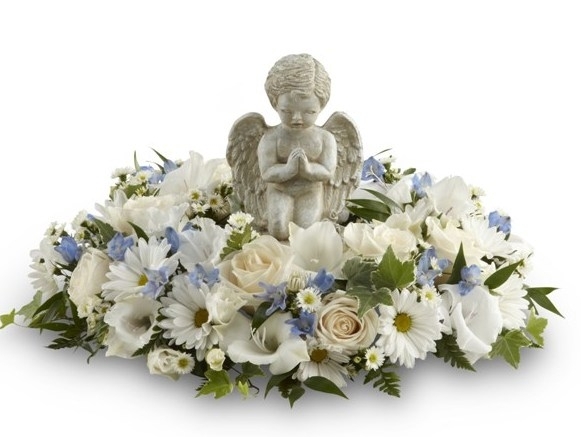 To view of our sympathy flowers click on one of the buttons above to see photos of Standing Sprays, Sympathy Arrangements, Crosses, Hearts or Wreaths, Memorial Arrangements and Casket Sprays. If you don't see something you want, just give us a call and we can make something special for you. If your family would like to coordinate their family pieces we can do that too. Below are selections of family coordinated services. Infant or child can be made in pinks, blues, yellows or all whites. Please specify which color you prefer.